The bombshell is out: Rebirth has made the Watchmen part of the DC comics universe, and turned at least one of them into the biggest antagonist in the cosmos. 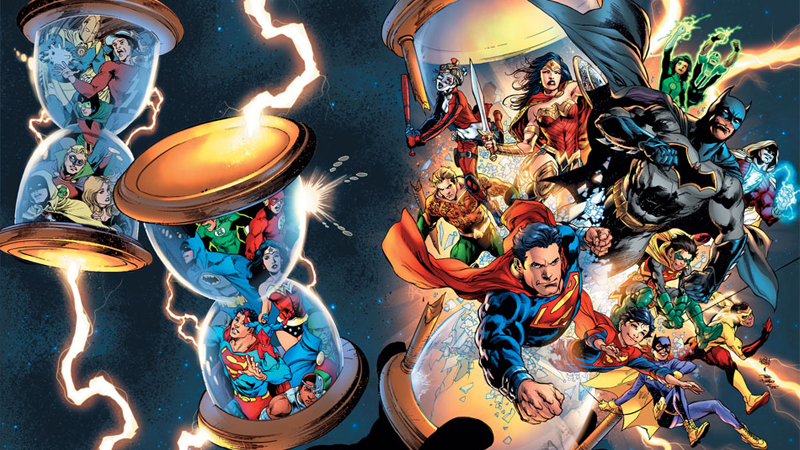 It’s been a controversial twist, but would DC’s biggest competitor have done it, given the chance? According to Marvel Editor Tom Brevoort, absolutely. Comic Book Resources recently sat down with Brevoort to discuss Marvel’s upcoming event series Civil War II, but also took the time to ask him about the release of Rebirth (and the timing of that comic’s release and Marvel’s own big twist with Captain America, which Brevoort claims is a total coincidence). I’m kind of conflicted in terms of the central twist that is revealed there, because philosophically as a fan, I kind of feel like that work is a complete work, and I’ve liked the fact that people have stayed away from it, except in really recent memory, and let it be its own thing. On the flipside of that, as the guy that does all this publishing for Marvel, I know that if that book was in our back catalogue, there would definitely have been interaction by this point, and it probably would have happened much sooner. So I can’t fault them for doing exactly what I would do, at least in the abstract, if I had the publishing rights. DC has largely kept the Watchmen at a distant arm’s length simply because of the controversy surrounding any attempt to follow up on Alan Moore, Dave Gibbons, and John Higgins’ legendary piece of superheroic fiction. Moore and the company have long had a publicly bitter relationship over the rights to Watchmen (which would’ve only reverted back to Moore’s control if DC stopped publishing and reprinting the graphic novel and associated works—something that will not happen any time soon now, thanks to Rebirth), and the last time DC attempted to tell new stories with the characters, in Before Watchmen, it was not exactly well regarded by fans. So it’s interesting to see Brevoort imagining that Marvel would’ve done this all a lot more quickly than DC has. Rebirth has at least been met with some optimism, even with the Watchmen twist. Would the reaction have been the same if this was “Marvel Rebirth”? Man, I want to see that alternate reality.